Father Dennis J. Billy, C.Ss.R., learned July 3 that he had been awarded a grant from the Templeton World Charity Foundation to explore the relationship between spiritual direction and the moral life. Funding for the three-year grant of more than $200,000 will begin this September. The grant will support the creation of a book on spiritual direction and the acquisition of virtue; DVD, CD, and MP3 materials on the subject; a social-media-friendly website; and a video-based tutorial system for spiritual directors through a series of massive open online courses (MOOCs). In addition to offering on-the-ground training for spiritual directors based on the Alphonsian tradition, Father Billy will help them conduct weeklong directed retreats to Catholics and other Christians. He will also submit his findings for scholarly assessment and ongoing peer review. During the course of the project he hopes to explore ways in which the approach to spiritual direction he has developed can be adapted for members of other religious, philosophical, and ethical traditions. His project represents an attempt to integrate spirituality with the moral life and should be of interest to all Redemptorists and their lay collaborators throughout the world. Father Billy, 63, currently serves as the Karl Rahner Professor of Catholic Theology at the Graduate Theological Foundation and is enjoying a sabbatical year at Notre Dame Retreat House in Canandaigua, N.Y. He has written more than 30 books, published many articles in a variety of scholarly and popular journals, and is very active in retreat work and the ministry of spiritual direction. 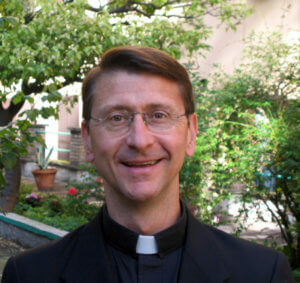 He was professed in 1977 and ordained a priest on May 24, 1980.